4 State Trailers is thankful for the opportunity to represent the well made ALUMA line of trailers! ALUMA offers the best value in all aluminum trailers for so many uses! Have fun hauling any of your tools, toys or just stuff with a top quality ALUMA Trailer! 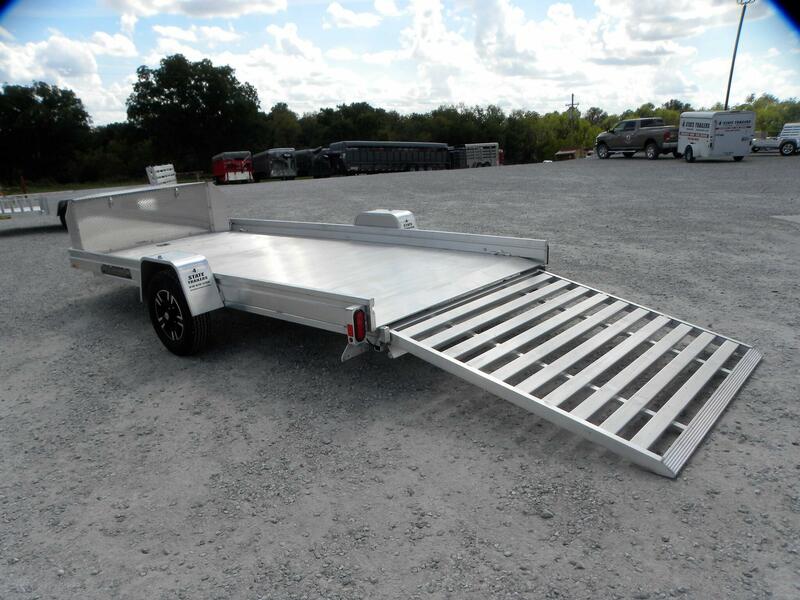 The line of trailers that we offer from ALUMA includes ATV/UTV trailers, enclosed cargo trailers, tilt trailers, motorcycle trailers, the super economical Edge series utility trailers, to the classy Anniversary Edition tiltbed car haulers and UTV trailers, standard car haulers. 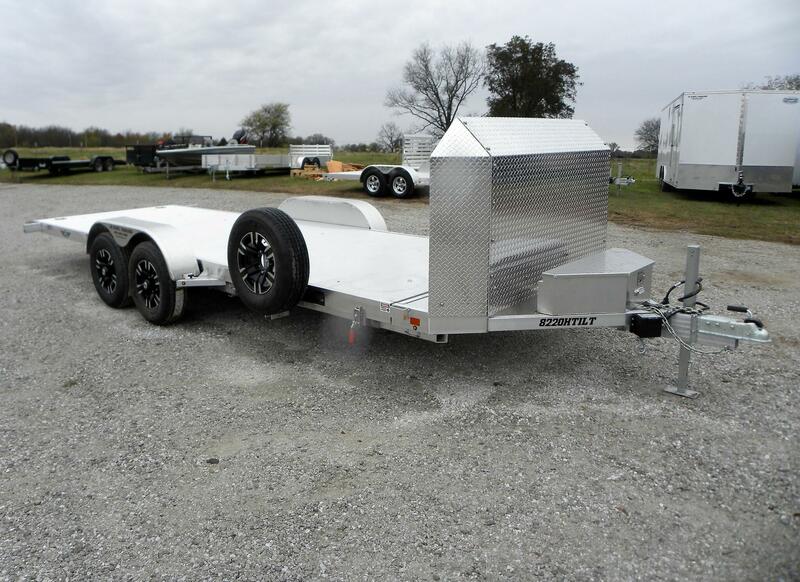 We can special order equipment trailers, deckover trailers, and snowmobile trailers from them as well! The light weight corrosion resistant aluminum that is used in all of their trailers makes for light weight, durable trailers that work hard, look fantastic, and hold their value well. See all the added value in an aluminum trailer- most of them have no wood to rot, virtually no steel to rust, they are light weight and easy to move around by hand or easy on your vehicle to tow, save on fuel, and never worry about the paint on your trailer again! We almost forgot to mention, these things hold their value exceptionally well as an added bonus! They also come standard loaded up with features like torsion axles, most models come standard with aluminum wheels, and all models come standard with LED lights, radial tires, and a 5 year hitch to bumper warranty from the manufacturer! The ALUMA logo below will take you to their website where you can learn more, if you click on it! Call us today to experience the difference that an ALUMA trailer can make for you! No matter what you are hauling!